Support for loading files from Hadoop Distributed File System; see Loading files from HDFS filesystems in Data Loading. Loading from HDFS file systems has been tested with the Cloudera Hadoop distribution. AllegroGraph Federation improvements – Improved and optimized communication between the main server and leaf nodes improves overall performance 2x for most users, and some operations by up to 50x. Federation is discussed in the AllegroGraph Introduction. Updated Sesame (2.7.11) and Jena (2.11.1), both clients that support Java 1.6. The command “Display | Display an Instance Node by Class Hierarchy” has been enhanced to work with predicates other than subClassOf. The initial choices are rdfs:subClassOf, skos:narrower, skos:broader, and rdfs:subPropertyOf, and you can specify custom predicates that work similarly. Multiple predicates can be browsed at the same time. The root nodes for each predicate of each store are saved into the options file so that they will come back up more quickly when re-opening the store. The predicate choices and the ones that are currently selected for each store will also be remembered. For efficiency, by default the dialog will no longer automatically gray out nodes when they have no subclasses or show a hollow arrow when they have no instances; instead, an explicit “Update Annotations” button will do that only when you want, or you can turn on the new options “Global Options | Class Outline | Automatically Indicate Childless Classes” and/or “Global Options | Class Outline | Automatically Indicate Instanceless Classes” to keep those annotations updated as before. When selecting an instance of a class, the pop-up menu is placed near the current mouse cursor position. The new option “Visual Graph Options | Tree Layout Options | Minimum Leaves for Splitting Columns” reduces the overall breadth of a tree layout by placing some single-parent leaf nodes beside others. SPARQL queries can now be interrupted on Mac and Linux (as was implemented on Windows recently). A loaded SPARQL query should work even when it used global namespace abbreviations that were defined when it was saved but not when it is reloaded. When multiple custom tooltip properties are specified with “Global Options | Node Label Predicates | Custom Predicates for Node Comments”, multiple matches for a node will be concatenated in the tooltip. Previously only the first match that was found was displayed. Some modal dialogs will show full URIs in the status bar as you move the mouse over choices, to differentiate nodes or predicates that use the same short label. This includes the dialogs that are shown by the commands “Global Options | Select Current Predicates”, “Display | Display an Instance Node by Class Hierarchy” and “Link | Display Linked Nodes from an Outline”. You can also type Control-C in any of those modal dialogs to copy the selected node or predicate. The new option “Global Options | Miscellaneous | Cancel Linked Nodes Outline on Mouse Out” controls whether moving the mouse out of the dialog that’s shown by “Link | Display Linked Nodes from an Outline” will cancel the dialog. That’s a quick convenience that had always been enabled, but is now disabled by default because it may be more annoying than useful. The two panes at the bottom of the query view that list nodes and predicates that are explicitly mentioned in the query have been removed by default, because they’re usually not worth the space that they occupy. But you can get them back with the new option “Query Options | Show Explicit Nodes from Query”. The pane on the right side that contained only help text has been removed entirely. Tabbing back to the query text widget will leave the text cursor or selected text as it was, rather than selecting all text. The “Select All” button or its keyboard shortcut Alt-A will still select all text. Fixed: Node label properties were not being employed on nodes when they are RDF string values like “Foo Bar”^^<http://www.w3.org/2001/XMLSchema#string>. Predicate paths are handled better when generating a visual graph from query results, using a pseudo-predicate for the whole path, similar to the handling of transitive predicates like subClassOf+. Fixed: Pasting a predicate into query text could miss employing a namespace abbreviation for it when that abbreviation is newly defined. Fixed: On AG 3.3, the newly simpler store-opening dialog still proceeded if the user canceled the dialog. It’s easier to mouse on a very narrow node to select it without hitting the node corner icons on either side. The store-opening dialog will remember the values that you last selected for the Warm Up the Store options for each store. CONSTRUCT queries are now handled (though not with SPARQL endpoints). The constructed triples will be browsable as part of an ad hoc federation with the currently open store, and so the store is not modified. On Windows, SPARQL queries in the query view can now be canceled (though not for SPARQL endpoints or on Agraph 3.3). The “Run Query” button turns into a “Cancel Query” button to indicate this. The new command “Help | Activity Logging” can be used to generate debugging information to send to Franz, especially for actions that take too long or if a bad state arises in the graph view. When using “Display | Display a Class Node by Class Hierarchy” or “Display | Display an Instance Node by Class Hierarchy”, you can now select multiple classes to display them all or an instance of each one. The command “Link | Display Linked Nodes for the Current Predicates” is now more interruptible (with Escape or Q as usual). Fixed: A few commands could sometimes take a long time due to accidentally not limiting the number of triples that they fetch from the server. These commands include “Display | Display an Instance Node by Class Hierarchy”, “Edit | Edit Node by Type” and selecting a predicate according to domain and range specifications. (This was discovered by using the new activity logging.) You can also cancel Edit Node by Type as usual with Escape or Q if it’s still taking too long. Fixed: The background pixmap in the graph view could get lost and no longer displayed because it pointed to a file in an earlier version of Gruff that you deleted. The table view will now indicate when the displayed set of triples is incomplete due to “Global Options | General Triple-Fetching Limit”. Miscellaneous refinements to the new lisp evaluation view. You can also now change the fonts on the Evaluation Options menu. Still more tweaks to the new tree layout algorithm for neatness and reduced link lengths. Franz Inc. makes it to Pharma Tech Outlook’s Top 10 Analytics Solution Providers list for its expertise in transforming data into knowledgeable insight. 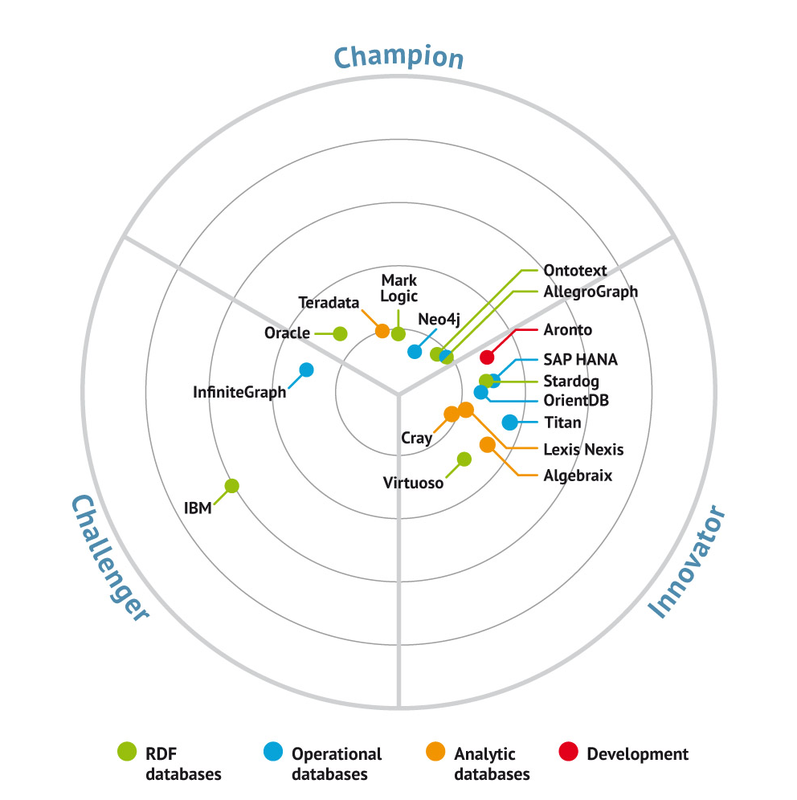 The annual list showcases the Top 10 Analytics Solution Providers 2016. The positioning is based on evaluation of Franz Inc.’s specialties in providing high-performance, transactional, and highly scalable Graph Database that provides the solid storage layer for powerful enterprise grade NoSQL applications. 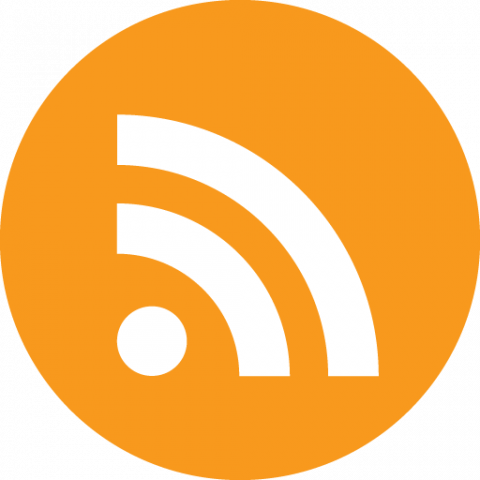 The annual list of companies is selected by a panel of experts and members of Pharma Tech Outlook’s editorial board to recognize and promote Technology entrepreneurship. Franz Inc. has been selected after being evaluated across a dozen quantitative and qualitative elements. Experts have made the decision by taking to consideration, company’s experience, industry recognition, technical certifications, market presence and positive client reviews. The company continued to break new ground within the past year benefiting its customers. 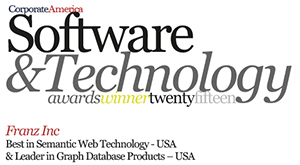 Franz Inc., an early innovator in Artificial Intelligence (AI) and leading supplier of Semantic Graph Database technology has been recognized As “Best in Semantic Web Technology – USA & Leader in Graph Database Products” by Corporate America Software and Technology. In many graph applications we find the link between two nodes is actually a complex object in itself. Property Graph Databases (i.e. Neo4j) try to solve this by putting attribute/values on the edges between nodes but unfortunately this is far too limited as the values cannot be nodes themselves. Semantic Graph Databases solve this by creating ‘Relationship Objects’ between nodes. In our presentation we will describe four use cases where the Property Graph’s shortcomings were solved by using Relationship Objects. An online banking application, a fraud detection application for a European tax office, a machine learning application in healthcare and the CrunchBase investment database. Working with these ‘Relationship Objects’ is very efficient because we employed a new ‘Super Graph’ pattern that summarizes connections between nodes in such a way that even in graphs with large branching factors we still can perform super fast search. Another advantage of the relationship objects is that it makes it far more straightforward to interactively explore large graph space in an aesthetically pleasing way in Gruff, Franz’s advanced graph visualization tool. View this recorded webcast here.